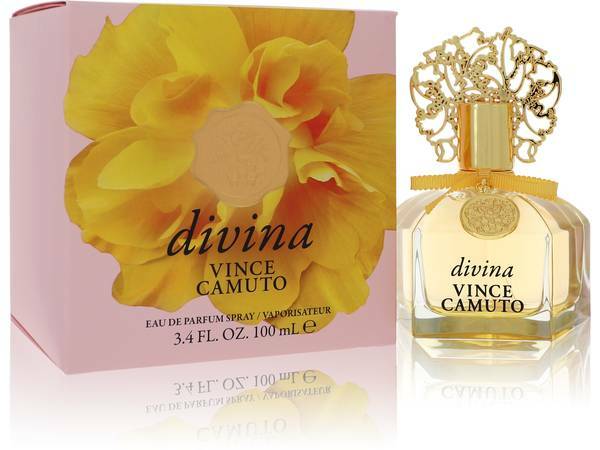 Vince Camuto Divina Perfume by Vince Camuto, Vince Camuto Divina was introduced in 2018 . 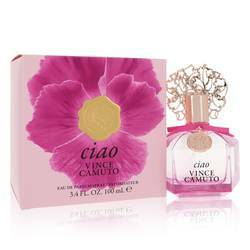 It is a floral and feminine scent reminiscent of the summertime. 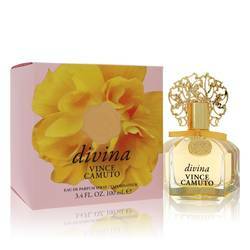 It is a fragrance that is ideal for any occasion and is perfect for wearing every day. 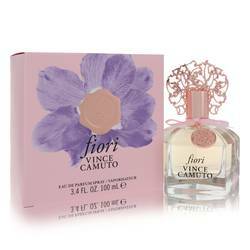 The perfume opens with mimosa blossom, musk and grapefruit, ensuring that your attention is immediately captured. 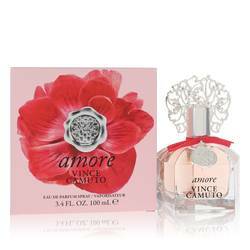 The heart includes sunflower petals that lead into the base of sandalwood and heliotrope ensuring that this scent lingers long after the initial Read More Read More spray. 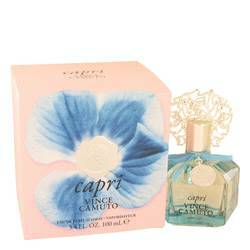 The bottle for this perfume is striking and decorative. It is a heavy, clear glass displaying a pale, golden liquid. The top of the bottle has an ornate pattern on it in the same gold color as the ribbon and patterned disc around the neck. 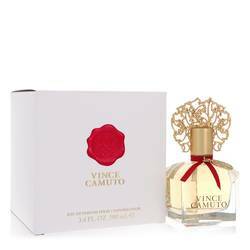 Vince Camuto was born in New York, in 1936. He was known for creating the footwear brand Nine West and in 2005 he launched a separate brand that took his name, selling shoes, clothing, accessories and fragrances worldwide. All products are original, authentic name brands. We do not sell knockoffs or imitations.